CARFAX 1-Owner, ONLY 36,733 Miles! 1.8T SEL trim. Navigation, Heated Seats, Sunroof, Satellite Radio, iPod/MP3 Input, CD Player, Onboard Communications System, Back-Up Camera, LIP SPOILER, Alloy Wheels, Turbo Charged. CLICK ME! KEY FEATURES INCLUDE Navigation, Sunroof, Heated Driver Seat, Back-Up Camera, Turbocharged, Satellite Radio, iPod/MP3 Input, CD Player, Onboard Communications System, Aluminum Wheels, Keyless Start, Smart Device Integration, Heated Seats. MP3 Player, Keyless Entry, Child Safety Locks, Steering Wheel Controls, Heated Mirrors. OPTION PACKAGES LIP SPOILER. Volkswagen 1.8T SEL with PLATINUM GRAY METALLIC exterior and BLACK LEATHERETTE interior features a 4 Cylinder Engine with 170 HP at 4800 RPM*. VEHICLE REVIEWS Edmunds.com's review says The backseat dwarfs that of just about every other compact sedan and hatchback (including the Golf), and the remarkable 15.7-cubic-foot trunk is on par with bigger midsize sedans.. Great Gas Mileage: 36 MPG Hwy. SHOP WITH CONFIDENCE CARFAX 1-Owner WHO WE ARE Lithia is one of America's largest automotive retailers. We are focused on providing customers with an honest and simpler buying and service experience. We are giving customers straightforward information so that they can make confident decisions. We believe that our local communities are our lifeblood. In addition to the employment opportunities we provide in each of our neighborhoods, we also provide contributions to charitable organizations that serve our families, friends, and customers. Plus tax, title, license and $180 dealer documentary service fee. Price contains all applicable dealer offers and non-limited factory offers. You may qualify for additional offers; see dealer for details. CARFAX 1-Owner, GREAT MILES 37,782! FUEL EFFICIENT 39 MPG Hwy/29 MPG City! Heated Seats, Onboard Communications System, CD Player, Smart Device Integration, Keyless Start, Turbo Charged, Aluminum Wheels, Diesel, iPod/MP3 Input CLICK ME! KEY FEATURES INCLUDE Heated Driver Seat, Turbocharged, Diesel, Satellite Radio, iPod/MP3 Input, CD Player, Onboard Communications System, Aluminum Wheels, Keyless Start, Smart Device Integration, Heated Seats MP3 Player, Keyless Entry, Steering Wheel Controls, Heated Mirrors, Electronic Stability Control. EXPERTS ARE SAYING Edmunds.com explains Within the classic yet tastefully updated shape, there is ample passenger space, sensible ergonomics, a decently sized cargo hold and a suspension that provides an agreeable balance between sporty handling and a comfortable ride.. Great Gas Mileage: 39 MPG Hwy. SHOP WITH CONFIDENCE CARFAX 1-Owner WHY BUY FROM US Lithia is one of America's largest automotive retailers. We are focused on providing customers with an honest and simpler buying and service experience. We are giving customers straightforward information so that they can make confident decisions. We believe that our local communities are our lifeblood. In addition to the employment opportunities we provide in each of our neighborhoods, we also provide contributions to charitable organizations that serve our families, friends, and customers. Plus tax, title, license and $180 dealer documentary service fee. Price contains all applicable dealer offers and non-limited factory offers. You may qualify for additional offers; see dealer for details. TSI S w/Sunroof trim. WAS $17,892. Volkswagen Certified, ONLY 9,745 Miles! Sunroof, iPod/MP3 Input, Satellite Radio, Onboard Communications System, CD Player, Alloy Wheels, ROADSIDE ASSISTANCE KIT, Back-Up Camera, Turbo CLICK ME! KEY FEATURES INCLUDE Sunroof, Back-Up Camera, Turbocharged, Satellite Radio, iPod/MP3 Input, CD Player, Onboard Communications System, Aluminum Wheels. MP3 Player, Keyless Entry, Child Safety Locks, Steering Wheel Controls, Heated Mirrors. OPTION PACKAGES ROADSIDE ASSISTANCE KIT booster cables, warning triangle, LED flashlight, multi-tool, work gloves, PVC tape, blanket, poncho, whistle, cable ties and bandages. Volkswagen TSI S w/Sunroof with PURE WHITE exterior and TITAN BLACK CLOTH interior features a 4 Cylinder Engine with 170 HP at 4500 RPM*. EXPERTS CONCLUDE Edmunds.com's review says The 2016 Volkswagen Golf delivers competitive performance, comfort and refinement. For a small hatchback EXCELLENT VALUE Was $17,892. SHOP WITH CONFIDENCE 112-Point Inspection and Reconditioning, 2 years/24,000 miles bumper-to-bumper limited warranty, Some of our pre-owned vehicles may have unrepaired safety recalls. Check vinrcl.safercar.gov/vin/, 24-Hour Roadside Assistance, SiriusXM Satellite Radio 3-month trial, Vehicle History Report OUR OFFERINGS Lithia is one of America's largest automotive retailers. We are focused on providing customers with an honest and simpler buying and service experience. We are giving customers straightforward information so that they can make confident decisions. We believe that our local communities are our lifeblood. In addition to the employment opportunities we provide in each of our neighborhoods, we also provide contributions to charitable organizations that serve our families, friends, and customers. Plus tax, title, license and $180 dealer documentary service fee. Price contains all applicable dealer offers and non-limited factory offers. You may qualify for additional offers; see dealer for details. CARFAX 1-Owner, ONLY 35,423 Miles! FUEL EFFICIENT 44 MPG Hwy/30 MPG City! Heated Seats, Multi-CD Changer, iPod/MP3 Input, Smart Device Integration, Onboard Communications System, Turbo Charged, Alloy Wheels, Back-Up Camera READ MORE! KEY FEATURES INCLUDE Heated Driver Seat, Back-Up Camera, Turbocharged, Diesel, Satellite Radio, iPod/MP3 Input, Multi-CD Changer, Onboard Communications System, Aluminum Wheels, Smart Device Integration, Heated Seats. MP3 Player, Keyless Entry, Child Safety Locks, Steering Wheel Controls, Electronic Stability Control. EXPERTS CONCLUDE The Passat's spacious interior caters to American tastes by allowing stretch-out room for adults both front and rear, as well as generous cargo capacity within its voluminous trunk. -Edmunds.com. Great Gas Mileage: 44 MPG Hwy. BUY WITH CONFIDENCE CARFAX 1-Owner WHY BUY FROM US Lithia is one of America's largest automotive retailers. We are focused on providing customers with an honest and simpler buying and service experience. We are giving customers straightforward information so that they can make confident decisions. We believe that our local communities are our lifeblood. In addition to the employment opportunities we provide in each of our neighborhoods, we also provide contributions to charitable organizations that serve our families, friends, and customers. Plus tax, title, license and $180 dealer documentary service fee. Price contains all applicable dealer offers and non-limited factory offers. You may qualify for additional offers; see dealer for details. CARFAX 1-Owner. R-Line trim. EPA 26 MPG Hwy/21 MPG City! Heated Seats, Onboard Communications System, CD Player, Smart Device Integration, Keyless Start, iPod/MP3 Input, Aluminum Wheels, ROADSIDE ASSISTANCE KIT, Turbo Charged SEE MORE! KEY FEATURES INCLUDE Heated Driver Seat, Back-Up Camera, Turbocharged, Satellite Radio, iPod/MP3 Input, CD Player, Onboard Communications System, Aluminum Wheels, Keyless Start, Smart Device Integration, Heated Seats Rear Spoiler, MP3 Player, Keyless Entry, Privacy Glass, Steering Wheel Controls. OPTION PACKAGES ROADSIDE ASSISTANCE KIT booster cables, warning triangle, flashlight, multi-tool, work gloves, PVC tape, blanket, poncho, whistle, cable ties and bandages. Volkswagen R-Line with PURE WHITE exterior and BLACK LEATHERETTE interior features a 4 Cylinder Engine with 200 HP at 5100 RPM*. EXPERTS ARE SAYING Edmunds.com explains We're impressed by the 200-hp turbocharged four-cylinder engine in the 2016 Volkswagen Tiguan. It's powerful in just about any situation, and its six-speed automatic transmission shifts smoothly and quickly.. Great Gas Mileage: 26 MPG Hwy. BUY WITH CONFIDENCE CARFAX 1-Owner MORE ABOUT US Lithia is one of America's largest automotive retailers. We are focused on providing customers with an honest and simpler buying and service experience. We are giving customers straightforward information so that they can make confident decisions. We believe that our local communities are our lifeblood. In addition to the employment opportunities we provide in each of our neighborhoods, we also provide contributions to charitable organizations that serve our families, friends, and customers. Plus tax, title, license and $180 dealer documentary service fee. Price contains all applicable dealer offers and non-limited factory offers. You may qualify for additional offers; see dealer for details. EPA 42 MPG Hwy/30 MPG City! CARFAX 1-Owner, LOW MILES - 53,362! 2.0L TDI SEL Premium trim. Heated Leather Seats, Navigation, Sunroof, Premium Sound System, Satellite Radio, Diesel, Alloy Wheels, Turbo Charged, Back-Up Camera AND MORE! KEY FEATURES INCLUDE Leather Seats, Navigation, Sunroof, Heated Driver Seat, Back-Up Camera, Turbocharged, Diesel, Premium Sound System, Satellite Radio, iPod/MP3 Input, Onboard Communications System, Aluminum Wheels, Remote Engine Start, Dual Zone A/C, Smart Device Integration MP3 Player, Keyless Entry, Steering Wheel Controls, Child Safety Locks, Electronic Stability Control. EXPERTS CONCLUDE Edmunds.com explains The Passat's spacious interior caters to American tastes by allowing stretch-out room for adults both front and rear, as well as generous cargo capacity within its voluminous trunk.. Great Gas Mileage: 42 MPG Hwy. WHY BUY FROM US Lithia is one of America's largest automotive retailers. We are focused on providing customers with an honest and simpler buying and service experience. We are giving customers straightforward information so that they can make confident decisions. We believe that our local communities are our lifeblood. In addition to the employment opportunities we provide in each of our neighborhoods, we also provide contributions to charitable organizations that serve our families, friends, and customers. Plus tax, title, license and $180 dealer documentary service fee. Price contains all applicable dealer offers and non-limited factory offers. You may qualify for additional offers; see dealer for details. EPA 33 MPG Hwy/24 MPG City! CARFAX 1-Owner, LOW MILES - 8,360! Heated Seats, Sunroof, Onboard Communications System, CD Player, Smart Device Integration, Keyless Start, Turbo, Alloy Wheels, Back-Up Camera, iPod/MP3 Input AND MORE! KEY FEATURES INCLUDE Sunroof, Heated Driver Seat, Back-Up Camera, Turbocharged, Satellite Radio, iPod/MP3 Input, CD Player, Onboard Communications System, Aluminum Wheels, Keyless Start, Smart Device Integration, Blind Spot Monitor, Cross-Traffic Alert, Heated Seats MP3 Player, Keyless Entry, Steering Wheel Controls, Child Safety Locks, Electronic Stability Control. Volkswagen SE with TUNGSTEN SILVER METALLIC exterior and BLACK LEATHERETTE interior features a 4 Cylinder Engine with 170 HP at 4500 RPM*. VEHICLE REVIEWS Great Gas Mileage: 33 MPG Hwy. 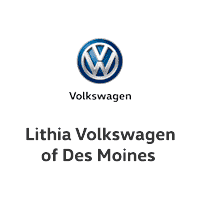 VISIT US TODAY Lithia is one of America's largest automotive retailers. We are focused on providing customers with an honest and simpler buying and service experience. We are giving customers straightforward information so that they can make confident decisions. We believe that our local communities are our lifeblood. In addition to the employment opportunities we provide in each of our neighborhoods, we also provide contributions to charitable organizations that serve our families, friends, and customers. Plus tax, title, license and $180 dealer documentary service fee. Price contains all applicable dealer offers and non-limited factory offers. You may qualify for additional offers; see dealer for details. CARFAX 1-Owner, GREAT MILES 10,812! FUEL EFFICIENT 31 MPG Hwy/22 MPG City! Nav System, Heated Seats, Onboard Communications System, CD Player, Dual Zone A/C, Keyless Start, iPod/MP3 Input, Aluminum Wheels, Turbo Charged Engine READ MORE! KEY FEATURES INCLUDE Navigation, Heated Driver Seat, Back-Up Camera, Turbocharged, Satellite Radio, iPod/MP3 Input, CD Player, Onboard Communications System, Aluminum Wheels, Keyless Start, Dual Zone A/C, Smart Device Integration, Brake Actuated Limited Slip Differential, Heated Seats MP3 Player, Keyless Entry, Remote Trunk Release, Steering Wheel Controls, Child Safety Locks. OPTION PACKAGES CHROME EXHAUST TIPS (SET OF 2). Volkswagen 2.0T Sport with PURE WHITE exterior and BLACK LEATHERETTE interior features a 4 Cylinder Engine with 200 HP at 5100 RPM*. EXPERTS ARE SAYING KBB.com explains Combined with its lightweight body, the CC serves up engaging yet comfortable driving manners. VW has managed to make the CC's taut suspension proactive in the curves without being overly reactive to road imperfections, such as expansion joints and potholes.. Great Gas Mileage: 31 MPG Hwy. PURCHASE WITH CONFIDENCE CARFAX 1-Owner WHO WE ARE Lithia is one of America's largest automotive retailers. We are focused on providing customers with an honest and simpler buying and service experience. We are giving customers straightforward information so that they can make confident decisions. We believe that our local communities are our lifeblood. In addition to the employment opportunities we provide in each of our neighborhoods, we also provide contributions to charitable organizations that serve our families, friends, and customers. Plus tax, title, license and $180 dealer documentary service fee. Price contains all applicable dealer offers and non-limited factory offers. You may qualify for additional offers; see dealer for details.